An interview from the 2018 International Broadcasting Convention in Amsterdam with Matt Bennion of G-Technology. From storing, transferring, editing and distributing content, G-Technology makes the workflow simpler, better and faster. 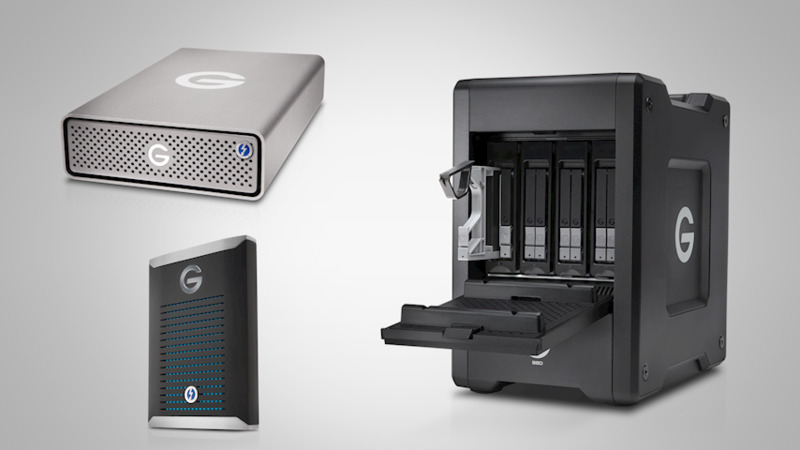 G-Technology's high-performance portable and desktop drives, flexible transfer/edit solutions and fast RAID systems are all built for professional content creation environments where performance and reliability are paramount. In this interview Matt showcases an array of G-Technology's latest Thunderbolt 3 SSD Solutions and how they accelerate your workflow through Capture, Ingest, Editing, and Finishing. With storage running at 2800MB/s, the G-DRIVE mobile Pro SSD (Up to 1TB of capacity) lets you edit multi-stream 8K footage at full frame rate, quickly render projects and experience them at full resolution, and transfer as much as a terabyte of media in seven minutes or less (for capacities 1TB or larger) wherever you are. A durable, shock-resistant design uses specially engineered components to endure traveling, while a single Thunderbolt™ 3 port lets you instantly edit footage on the go with incredible speed without the need for wall power. An aluminum core prevents overheating and maintains a consistent high performance, and with a trusted 5-year limited warranty, you get durable, fast solutins. The G-DRIVE mobile Pro SSD solution with Thunderbolt 3 is available in the U.S. Summer of 2018 in capacities of 500GB ($659.95) and 1TB ($1,049.95) USD. Equipped with scorching fast transfer rates of up to 2800MB/s, the G-DRIVE Pro SSD solution (up to 7.68TB of capacity) with Thunderbolt 3 technology enables a filmmaker to edit multi-stream 8K footage at full frame rate, quickly render projects and experience them at full resolution, and transfer as much as a terabyte of content in seven minutes or less (for capacities 1TB or larger). Dual Thunderbolt 3 ports are ready to daisy-chain up to five additional devices, while a stackable, rugged aluminum enclosure offers a durable way to help keep your workplace tidy. Combined with Enterprise-class solid state drives, an endurance rating of one drive write per day (DW/D) endurance rating, and a trusted 5-year limited warranty, the G-DRIVE Pro SSD delivers reliable, high-performance desktop storage you can rely on. The G-DRIVE Pro SSD solution with Thunderbolt 3 is available in the U.S. May of 2018 in capacities of 960GB ($1,399.95), 1.92TB ($2,099.95), 3.84TB ($4,099.95) and 7.68TB ($7,599.95) USD.